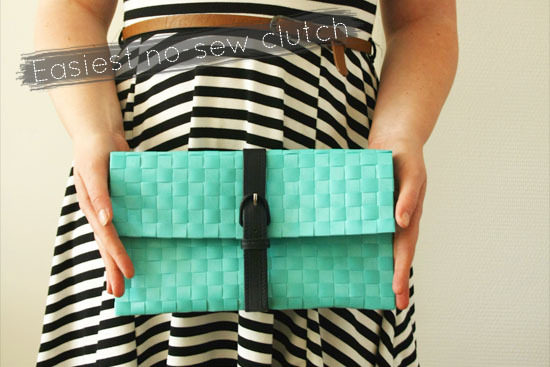 Learn how to make the easiest no-sew clutch including step by step pictures after the jump. . .